Early Detection and Rapid Response (EDRR) is a concept to identify potentially invasive species prior to or just as the establishment of the invasive is taking place. 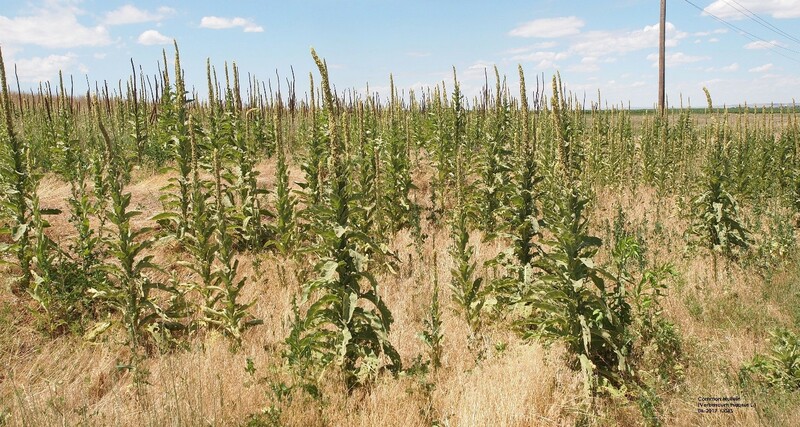 An Integrated Pest Management plan (IPM) can be developed to manage, contain and eradicate the invasive species before it can spread further. This will avoid costly, long-term control efforts. Can I Irrigate Animal Manures On Growing Crops? Rained-on hay plagues all of us eventually. This year maybe more than usual. The 'windrow disease' that often follows presents lingering problems. 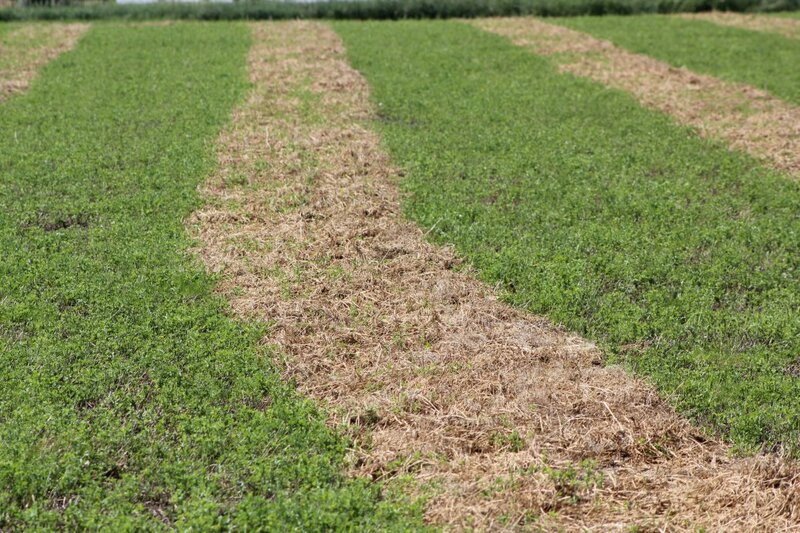 Windrow disease — that’s the name I give to the striped appearance in fields where alfalfa windrows remained so long that regrowth was delayed. Usually it’s due to rained on hay and sometimes, insects. The game of “what-if” can be tricky. What if the corn crop becomes drought damaged this year? Am I prepared to utilize this forage? Drought-stressed corn will start to wilt and roll its leaves. If drought occurs for four days during the silking and pollination period, the early reproductive stages of the corn plant, as much as 40-50% drop in yield can occur. 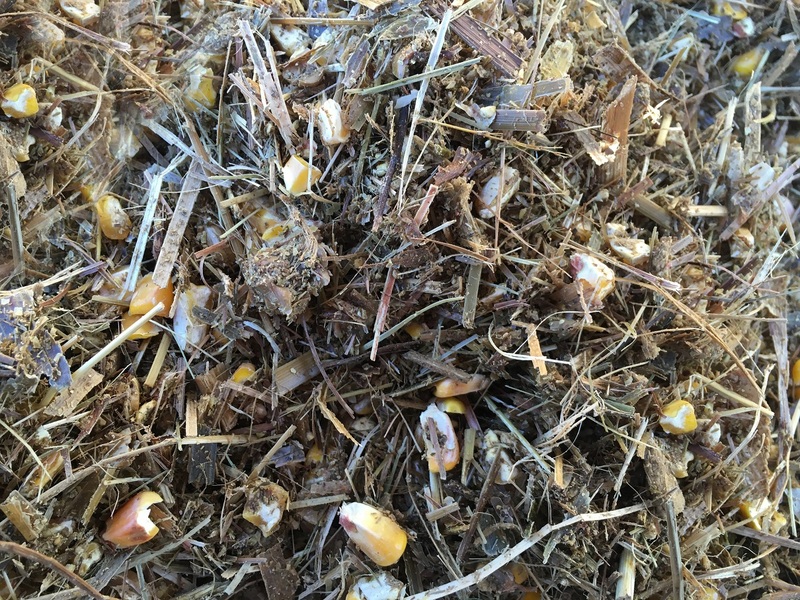 Cattle producers looking to make use of the drought-stressed corn may harvest it for forage but it should be done with a few considerations. Field peas are a popular crop included in wheat rotations in western Nebraska and eastern Wyoming and Colorado because they contribute nitrogen to the soil and naturally break up weed and pest cycles. Field peas are normally sold for human consumption and utilized in the pet food industry. However, when they are rejected for human consumption and the pet food market is saturated, the field pea grower needs to find an alternative market for the crop. Nebraska BQA: The Right Way Is The Only Way! 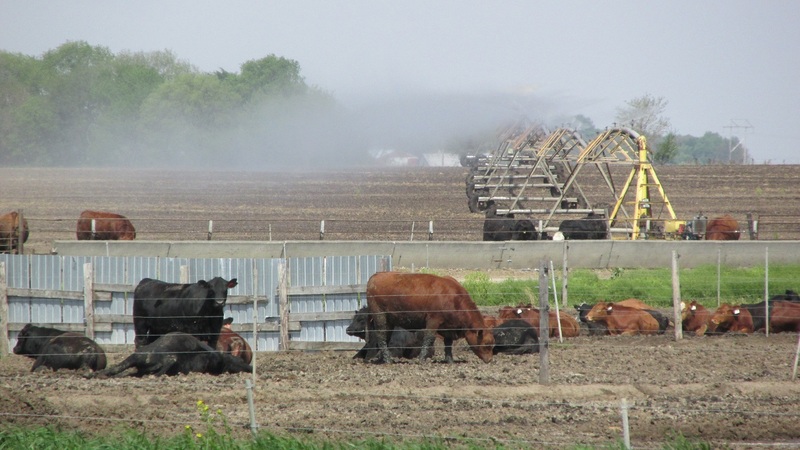 Nebraska is the epicenter of the beef cattle community. Nebraska beef cattle producers are the Nation’s leaders and produce top quality beef for today’s consumers. 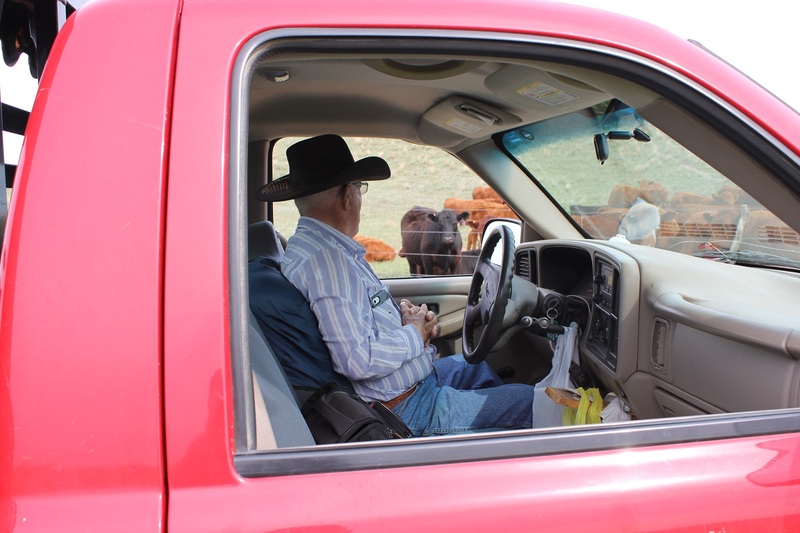 When it comes to running a strong cattle operation, they do things the right way. 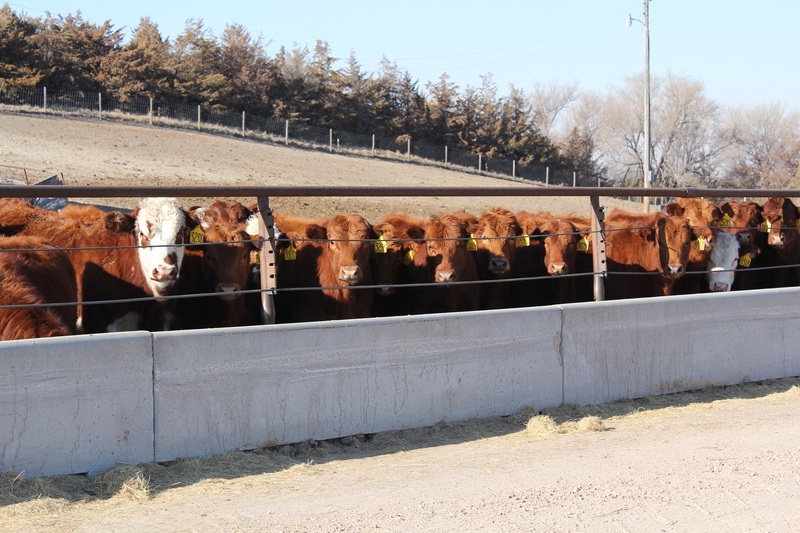 Nebraska Beef Quality Assurance (BQA) is here to help with the training and certification to build more value into your operation. Learning on the “Go” with Podcasts! Progressive ranchers and farmers committed to lifelong learning often find podcasts as a way to expand their knowledge base while using time effectively. For a majority of people involved in production agriculture, a significant amount of time is spent behind the wheel of a vehicle or piece of equipment. This “drive time” can be an opportunity to listen to podcasts through using smartphone technology. Cow-calf producers have the option of preconditioning calves at weaning to improve health status and ultimately add value to their calf crop. 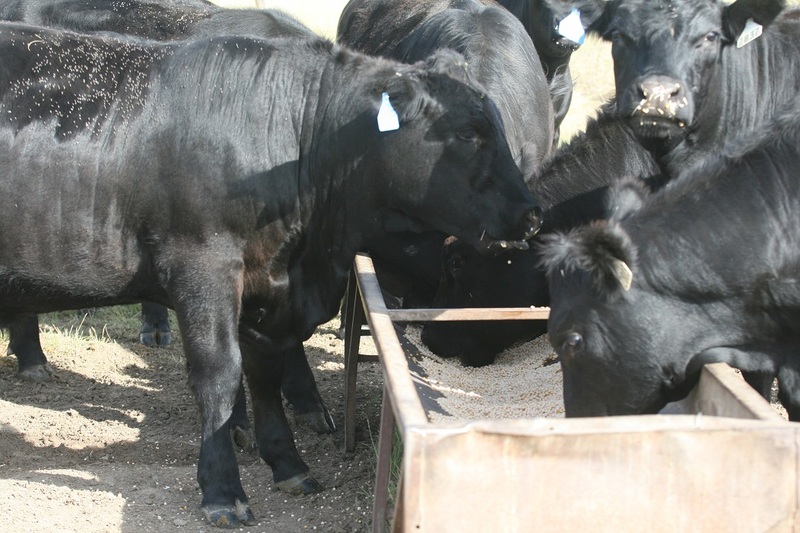 Preconditioning programs can vary greatly from one operation to another but share the common goal of preparing calves for the next phase of production. 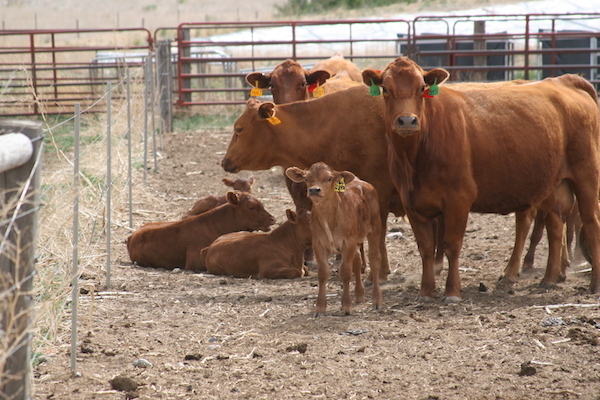 The preconditioning period is typically a minimum of 45 days and includes a nutritional program, health protocol, and series of management strategies designed to minimize stress and boost the immune system of the newly weaned calf. In this month's BeefWatch Producer Perspective Podcast, Alex Wiese, who is part of a family owned and operated farm near Newman Grove, shares how he has started a cow-calf enterprise as part of his family's operation. In the podcast Alex shares management practices and techniques he is using to dry lot cow-calf pairs through the summer.